Lucky tourists stumble on our charming parade. Some folks travel a long way on purpose to see it. 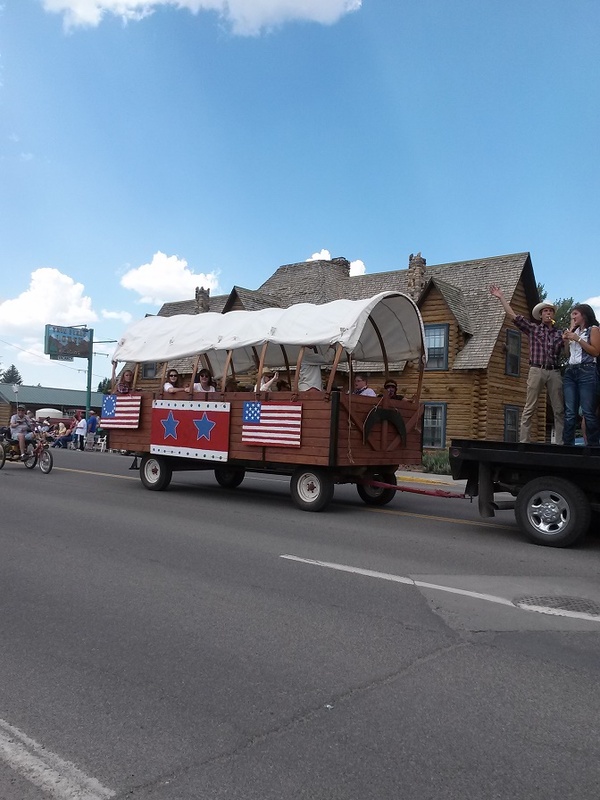 Slow, but far quicker than the original, a Conestoga wagon starts the parade. 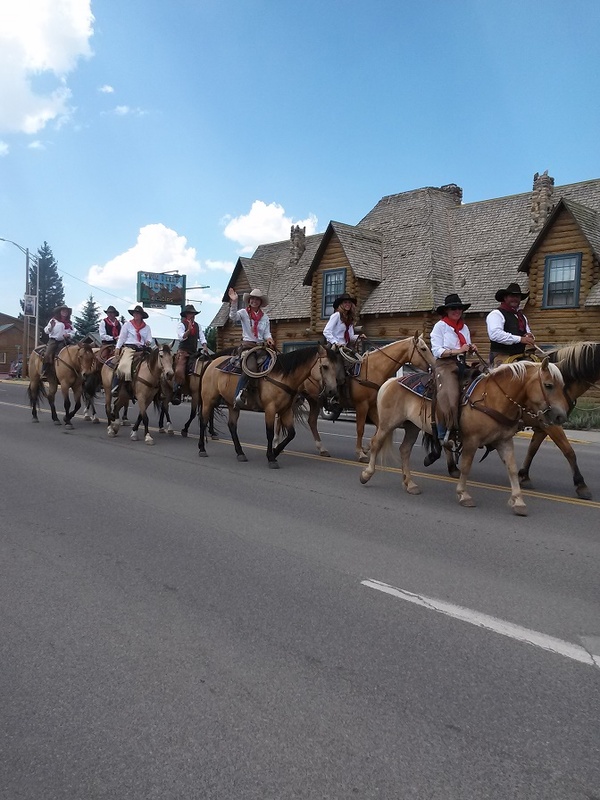 “Dudes” from the CM Ranch, the first guest ranch to be established in the upper Wind River Valley, join the Independence Day parade every year. 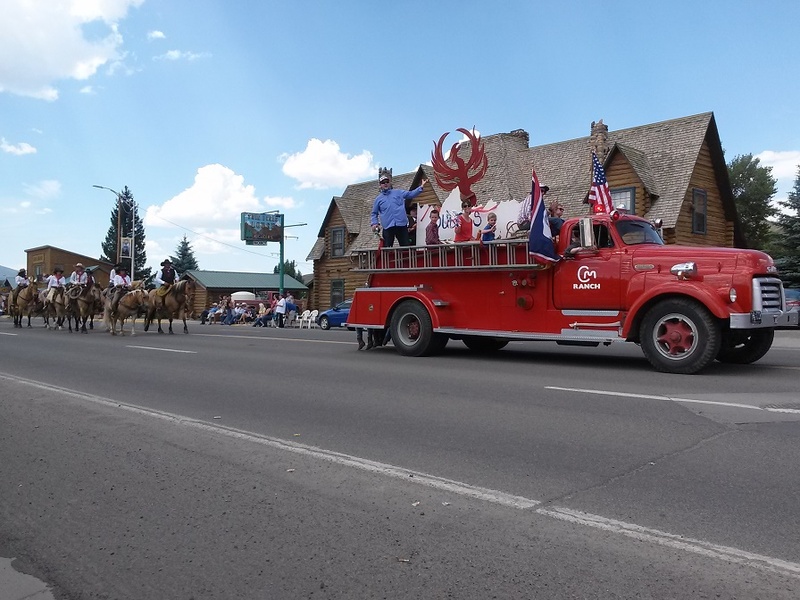 The thing to do on July 4 in Dubois is to catch the parade, which must rival any in the United States for charm and originality. Another thing to do is find a spot under an awning, or bring an umbrella. The volunteer firefighters come by near the end of the event to offer a refreshing shower — or a moment of embarrassment for the unprepared. The parade is a lucky find for visitors who happen to be in Dubois that week. But some out-of-towners travel quite a distance on purpose, just to experience it. The CM Ranch also likes to feature its vintage fire engine. Behind it you can see the Twin Pines Lodge (and cabins), which is about as old and venerable the CM Ranch. The “vacancy” sign is often dark. We met some people from Cody who had come to Dubois just to catch the parade. They said that to get a decent viewing spot in Cody you have to stake out your location days ahead. 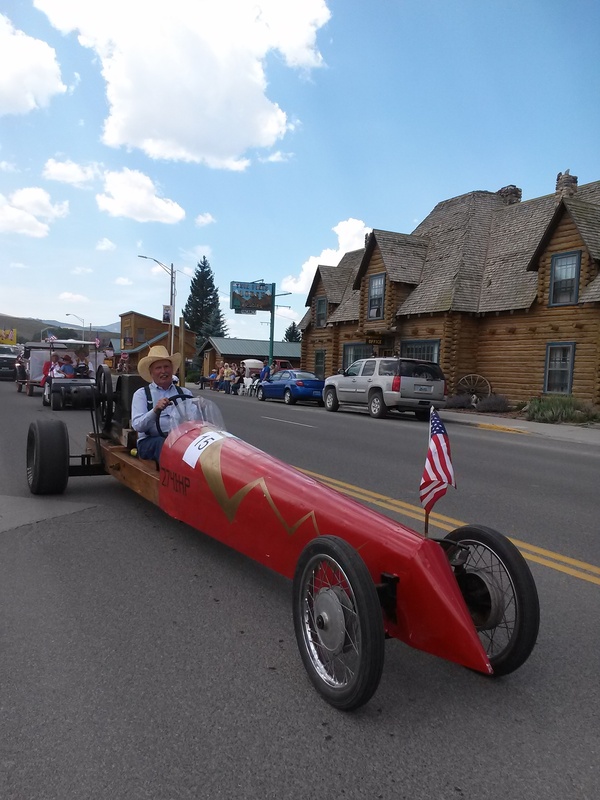 This “race car” powered by a custom-restored antique agricultural “hit and miss” engine makes its way along the parade route every year at a suitably moderate speed. Another interesting mode of transport, brought to town by someone proud to show it off to neighbors again this year. 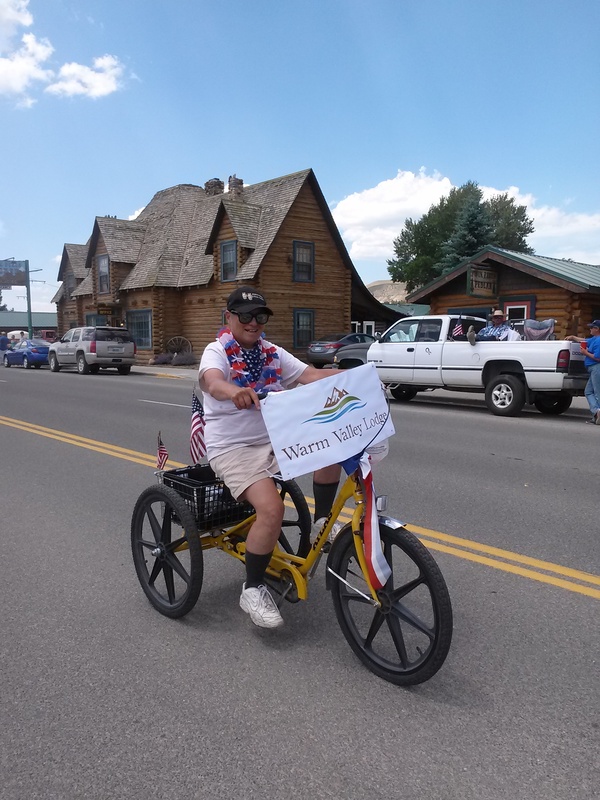 Deb proudly shows off her own means of independence, representing the new assisted living facility, Warm Valley Lodge. 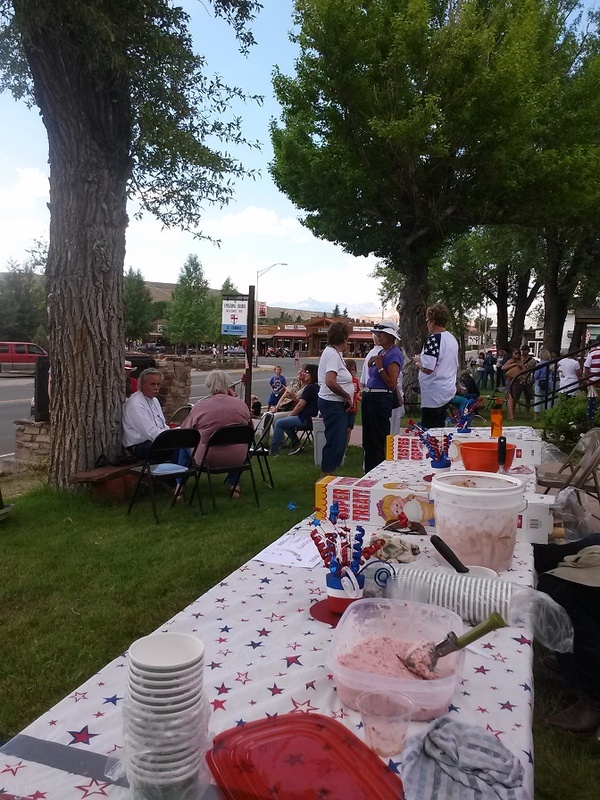 The Lodge itself represents independence for many long-term residents of this warm valley, who no longer have to decamp to a large city somewhere else when they begin to need help day to day. 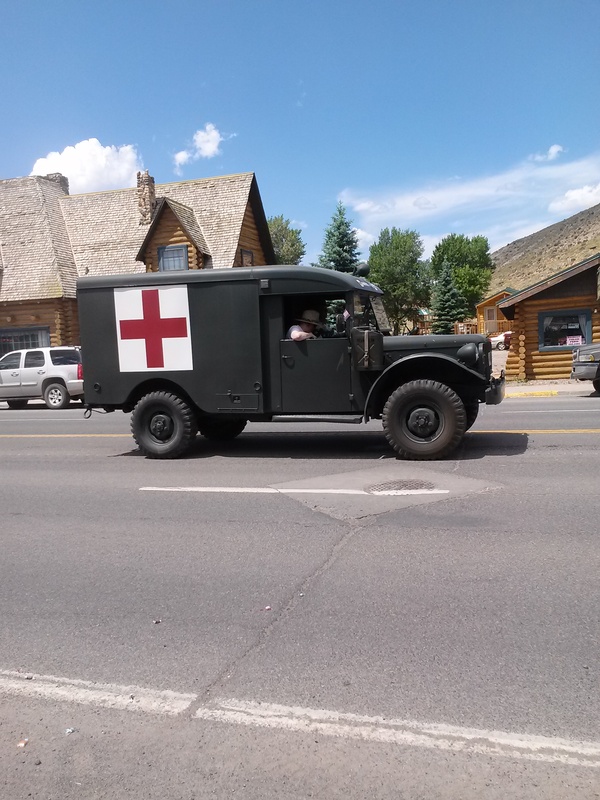 This wonderful vintage ambulance was one of several military vehicles in the parade. Sorry we didn’t catch pictures of the authentic WWII tanks also owned by a resident of the valley. There’s easily enough space out here to store vehicles like that year round, out of sight. 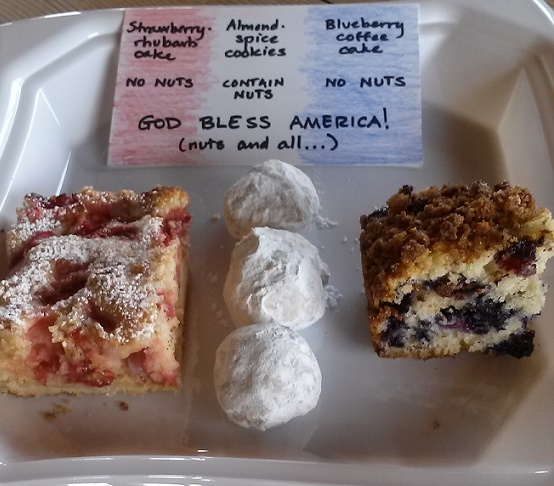 Here’s what I brought to coffee hour at St. Thomas church on July 5. The color scheme was complete serendipity: As I pulled the third item out of the oven, it suddenly dawned on me what I had created. 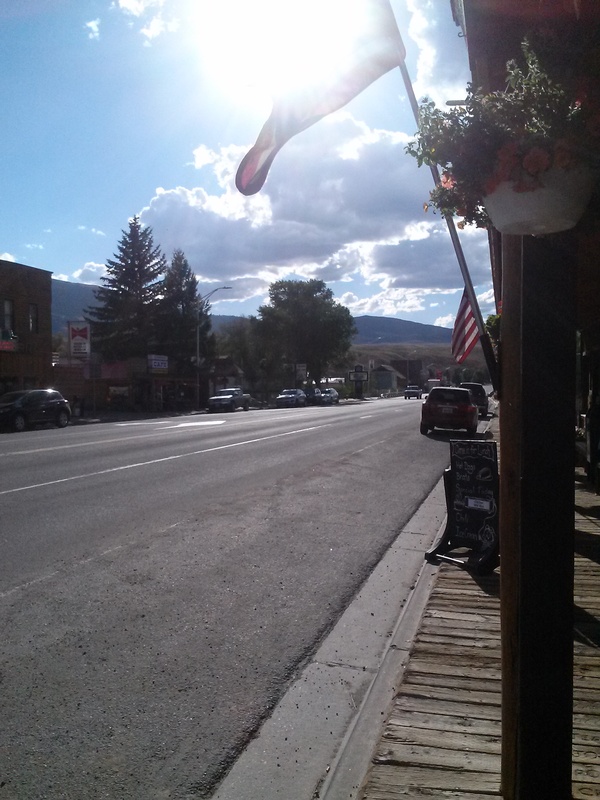 Want to read more about living in Dubois WY? You can read weekly updates via email using the link at the top of the right column. Previous Previous post: Don’t Like the Weather?